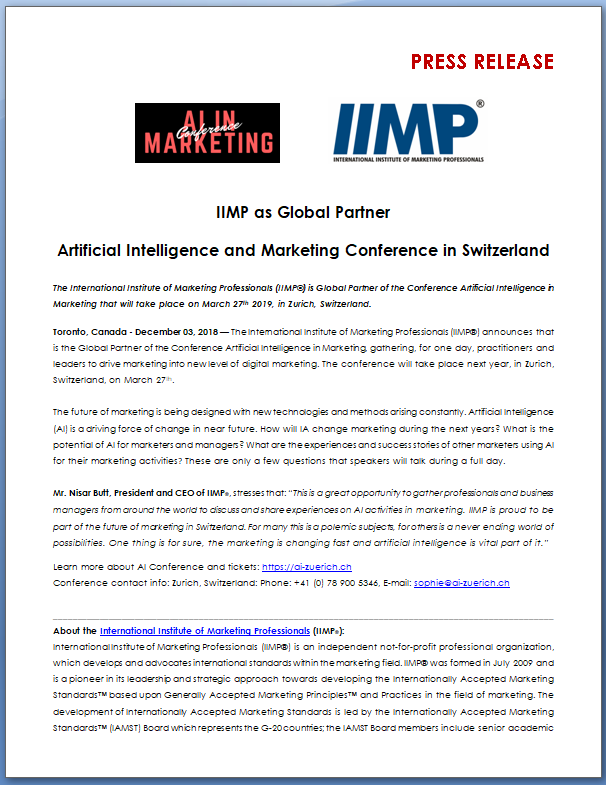 The International Institute of Marketing Professionals (IIMP®) is Global Partner of the Conference Artificial Intelligence in Marketing that will take place on March 27th 2019, in Zurich, Switzerland. 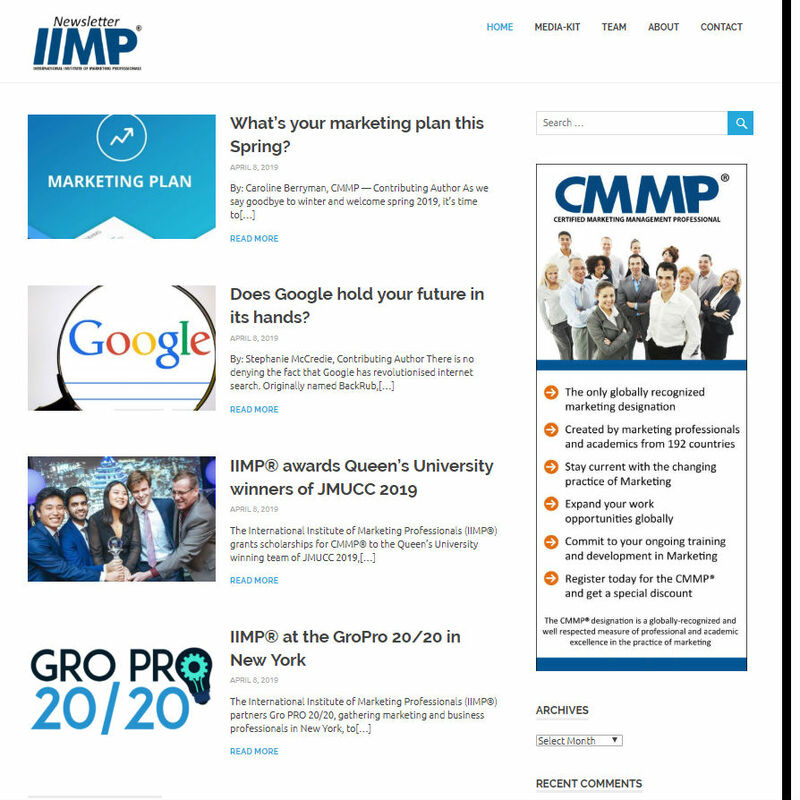 Toronto, Canada – December 03, 2018 — The International Institute of Marketing Professionals (IIMP®) announces that is the Global Partner of the Conference Artificial Intelligence in Marketing, gathering, for one day, practitioners and leaders to drive marketing into new level of digital marketing. The conference will take place next year, in Zurich, Switzerland, on March 27th. The future of marketing is being designed with new technologies and methods arising constantly. Artificial Intelligence (AI) is a driving force of change in near future. How will IA change marketing during the next years? What is the potential of AI for marketers and managers? What are the experiences and success stories of other marketers using AI for their marketing activities? These are only a few questions that speakers will talk during a full day.